On March 14, Russian President Vladimir Putin ordered the Defense Ministry to withdraw the bulk of the Russian military contingent in Syria. 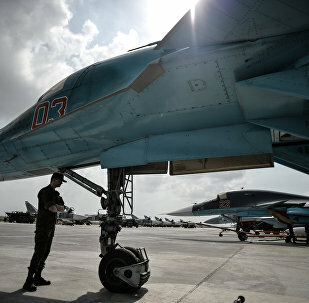 Russia's aerial campaign in Syria has, on the whole, accomplished its objectives, Putin said. 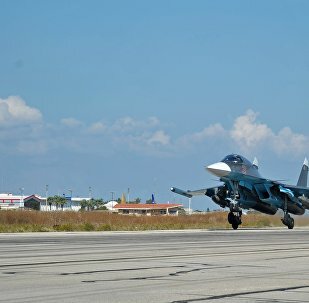 Later, the chair of the Russian Federation Council's Committee on Defense and Security said that around 1,000 Russian service personnel and some reconnaissance aircraft would remain at the Hmeymim and Tartus bases. The remaining forces are due to monitor the ongoing ceasefire in Syria. Russian President Vladimir Putin’s order to withdraw the main contingent of Russian forces from Syria caught the international community off guard. Here is what leading French politicians and intellectuals said regarding the pullout of Russian troops from Syria. President Barack Obama has pledged to destroy Daesh and bring peace to Syria ravaged by a five-year-long foreign-sponsored insurgency, yet it is Moscow, not Washington that has played the key role in securing a nationwide ceasefire and launching peace talks. According to Kremlin spokesman Dmitry Peskov, UK Foreign Secretary Philip Hammond's remarks on the Russian withdrawal from Syria are reserved and constructive. Russian President Vladimir Putin awarded Russian military and defense personnel who had taken part in the Russian air campaign in Syria. Russian pilots perfectly performed their tasks during Moscow's anti-terrorist operation in Syria, President Vladimir Putin said. The representatives of the Syrian opposition's High Negotiations Committee (HNC) welcomed the start of the Russian military withdrawal from Syria, Russian Deputy Foreign Minister Mikhail Bogdanov said Thursday. Russia has wrapped up its military operation in Syria but its political clout in the region hasn’t gone anywhere, Markus Kaim, a German Middle East expert said. Russian Su-24M bomber jets have safely returned from Syria to airbase in Russia's Ural. 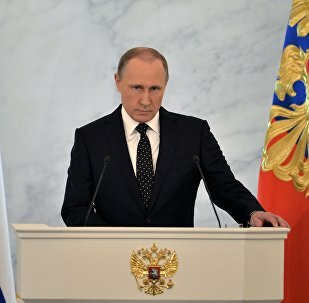 President Vladimir Putin caused a stir when he announced the withdrawal of Russian forces deployed to Syria to fight Daesh and other terrorist groups. Moscow's operation has been largely hailed as a success, but several major achievements of the limited engagement have mostly remained unacknowledged. 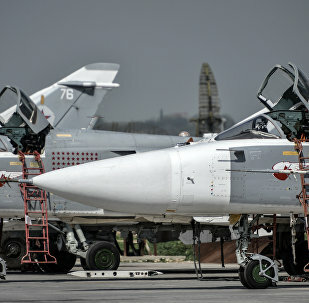 The Russian forces will leave Syria within a couple of days, the Aerospace Forces Commander said. The overall impact of Russia’s withdrawal of forces from Syria is yet to be seen, but it will reshape the battlespace in the war-torn country, US Marine Corps Commandant Gen. Robert Neller told Sputnik. The withdrawal of Russia's military contingent from Syria showed that, unlike Western leaders, Russian President Vladimir Putin did not play "zero-sum games" and had a clearly defined strategy, which could eventually lead to a political settlement in the country, experts told Sputnik on Wednesday. Four Russian Su-25 combat jets have safely returned home from Syria. Amid Russia’s partial pullout from Syria, Sputnik provides the facts and figures to illustrate what has been accomplished in the five months and fourteen days since the launch of Russia’s air campaign. 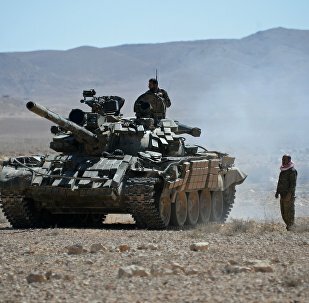 The Syrian Army and the country's National Defense Force have reportedly managed to take full control two neighborhoods in Deir ez-Zor, eastern Syria's largest city, as well as a strategic route connecting a nearby city with an oilfield. Russia has shown an outstanding ability to resist and gain the victory virtually over any enemy during its airstrikes in Syria, Dragomir Karic, the Serbian parliament's member, told Sputnik on Tuesday. Daesh was badly hurt by ceaseless Russian air attacks over the past seven months, but it continues to control significant territories and has not been eliminated yet, US analysts told Sputnik. 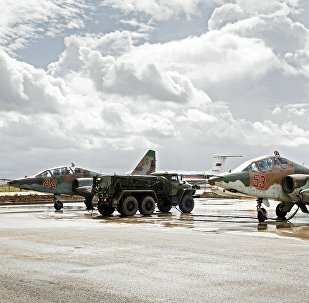 Russian aircraft from the Syrian Hmeimim airbase will return to Russia consorted by military transport planes, Russian Defense Ministry said in a statement on Wednesday. 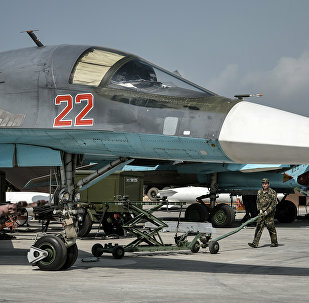 Russia pulled its air force out of Syria after it had achieved its strategic goal of preserving the Syrian state and establishing conditions for the success of the Syrian army in land operations, analysts told Sputnik.